Children are right at the heart of Revelation Church in many different ways. It is one of the areas in which we have seen much growth in recent years and we are completely committed to making Revelation a place that children enjoy and want to be. We want to provide them with a place where their lives and faith can be developed, nurtured and released. 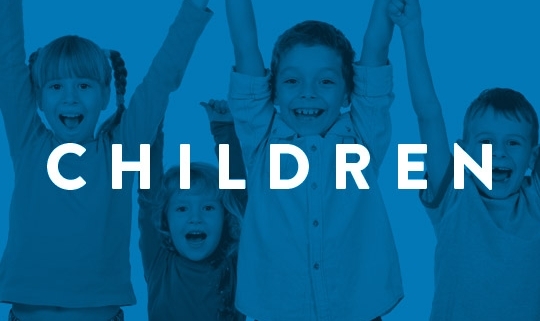 The children’s programme at Revelation seeks to build on all the best elements of childhood, inspired by the way the Bible encourages us to approach faith like a child. Always at the heart of our various children’s activities is a huge bag full of fun and bucket loads of energy. Our children’s programmes are run by an amazing team of volunteers, led by Dan Swires-Hennessy and Catherine Johnston, many of whom bring skills from early years and primary education. The recipe for these sessions is a large dollop of Bible teaching, a generous handful of exploration of their own understanding of their place in a faith community, mixed in a colourful bowl of worship using the spoon of fun. For 0-2s, throughout the morning gathering there is a safe play area where parents can play with their children without missing out on the content of the gathering. Spark: 2-4s (pre-school), 10:45am-11:30am. Learning to love and be loved. Learning Bible stories, singing, crafts, prayer and lots of play. Fire: 5-7s (year R to 3), 10:45am-11:30am. Finding our feet in our faith. Furthering our understanding of Bible stories, worship, crafts, prayer and play. Shockwave: 8-11s (year 4 to 6), 10:45am-11:30am. Growing together in God. Applying what we read in the Bible to our lives, asking questions, playing games, praying, singing and making things together. For 8-11s (year 4 to 6), 6:30pm-7:30pm at the Family Centre on Orchard Street. High energy fun, helping children to go deeper in their relationships with God and one another. We operate a Safeguarding Policy working with the national umbrella organisation, CCPAS (Churches Child Protection Advisory Service). This works within Safe Guarding guidelines set by central government. If you have any Safeguarding questions or concerns please contact Lee Nancarrow (leen@revelation.org.uk) who is our Safeguarding Officer at Revelation.